Construction is moving along at 685 First Avenue, as it nears completion in Murray Hill, Manhattan. 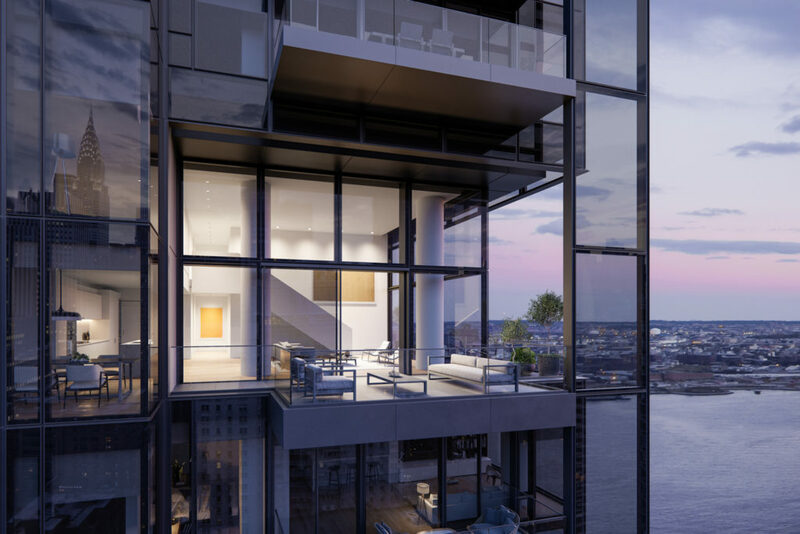 The 43-story tower has officially launched sales ahead of its anticipated opening later this year, or early next. 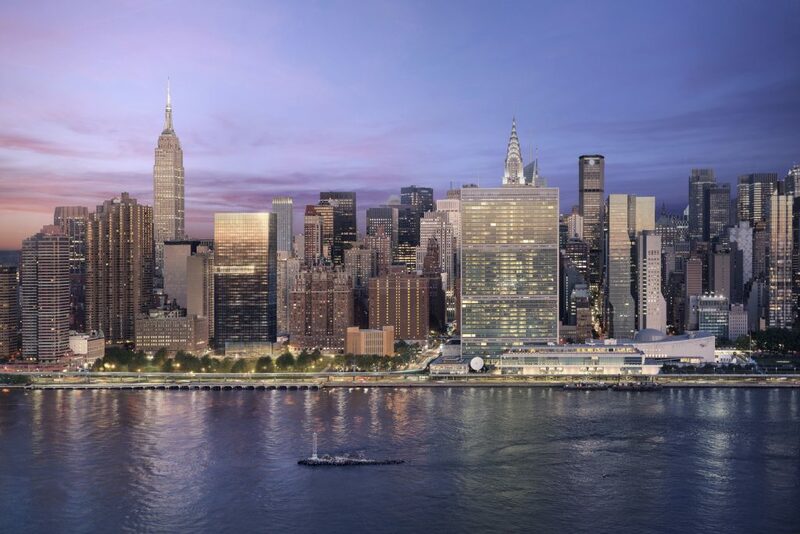 If you’ve looked over the East River recently toward Midtown, you may have noticed the new monolith between East 39th and East 40th Streets. 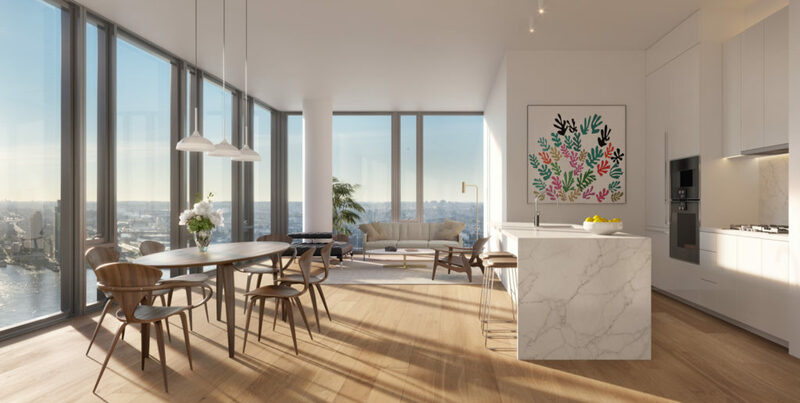 The minimalist tower, designed by Richard Meier & Partners Architects, stays true to the consistent aesthetic of developer Sheldon Solow’s Solow Building Company. 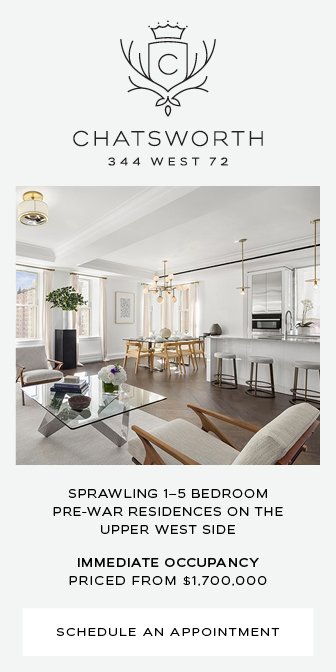 Solow is most famous for the sloping black tower with a bold white frame overlooking Central Park from 57th Street. 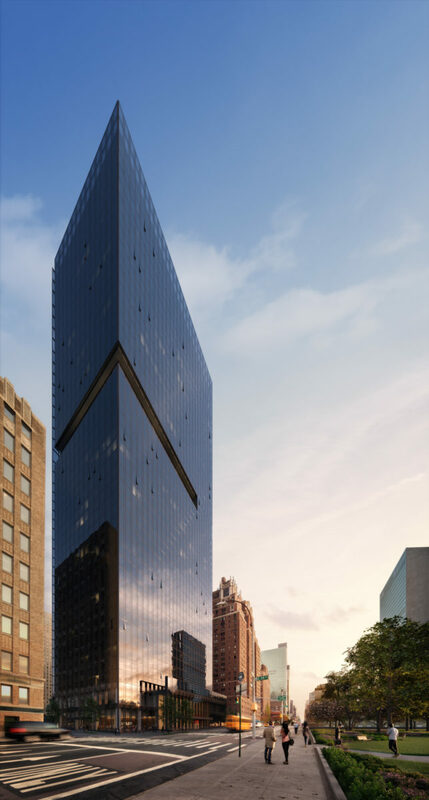 At 685 First Avenue, the most distinctive addition to the façade is a cutout near the middle of the tower. 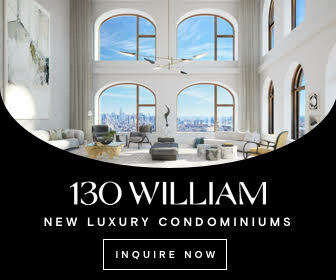 This provides an aesthetic break, and the opportunity for private balconies with duplex units on the 28th and 29th floors. The 460-foot tall structure yields 800,000 square feet for residential use, and 10,000 square foot for ground-floor retail. 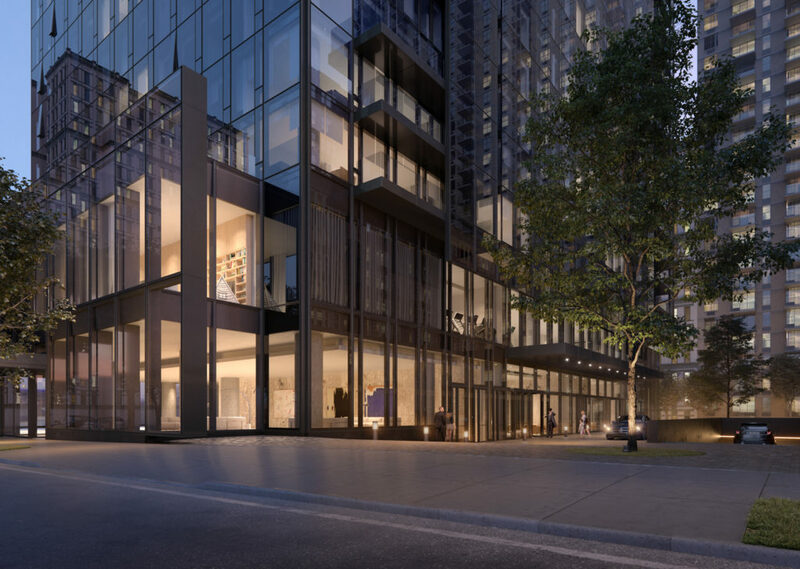 The building will be split between rentals and condominiums, with 408 rentals on floors three through 27, and 148 condominiums on floors 28 through 43. 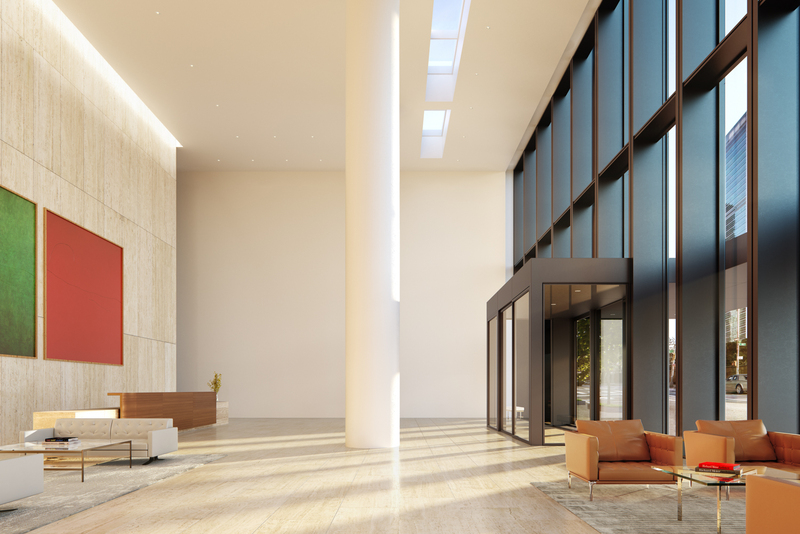 The double-height lobby will feature a three-paneled Joan Miro art piece from the personal collection of Sheldon Solow. 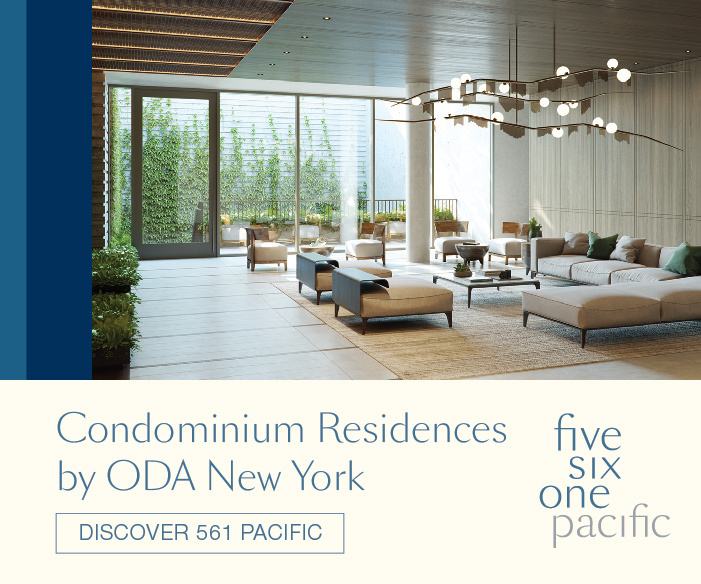 Condominiums range in size from one to four bedrooms. Interiors feature a light tone to contrast the façade. 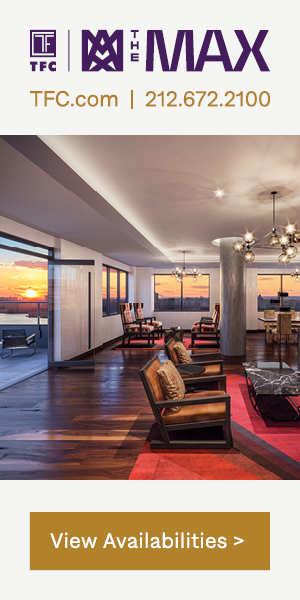 Open layouts and floor-to-ceiling glass allow the natural light to flood each unit. 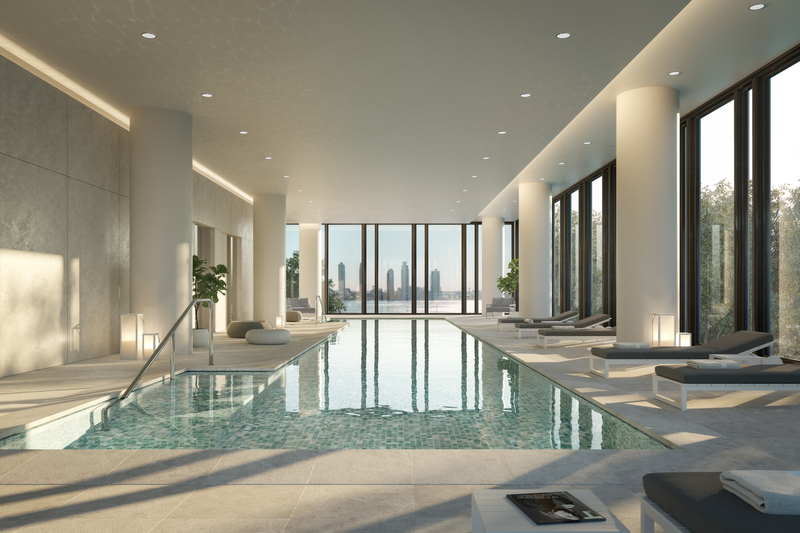 Amenities include a fitness center, 70-foot long lap pool looking over the east river, a sauna and steam room, billiards, and a screening room. Prices start at $1,495,000 million. 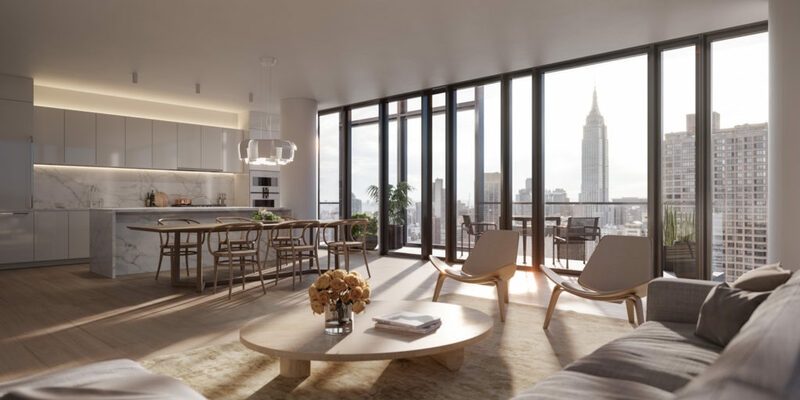 Citi Habitats New Developments is responsible for sales and marketing. Completion is expected by the end of the year, or early 2019. 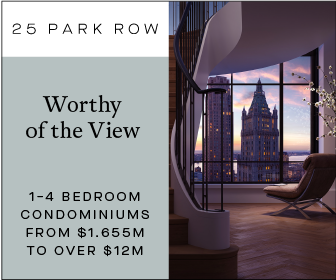 1 Comment on "Completion Nears, Sales Launch for Solow’s 685 First Avenue in Murray Hill"